With most prospects spending a good part of their lives online, social selling is fast emerging as the top-secret weapon for modern sales processes. Probably the most significant benefit of living in a connected world! Prospects are also eager to engage with smart salespeople on social platforms, making it a golden opportunity for teams across the spectrum. However, the basic premise of social selling is unchanged; which is to strengthen and influence the one-to-one conversation in a sales process. The core idea is to create a positive experience for your prospects before you move them to an offline sales conversation. As a salesperson, all you need to do is position yourself as an expert. Someone they can trust and rely on. A professional who brings credibility and supplies a solution to their problems. First off, how to find buyers on social platforms? What is your long-term content strategy? How many buyers are you looking to target? These are important data points that’ll help you design a meaningful social selling strategy to strengthen the one-to-one conversation with your prospects. Remember, social selling can never replace the traditional sales channels like telephones or email. However, it can act as a powerful catalyst for your sales campaigns. LinkedIn Sales Navigator is a powerful tool that lets you target the right buyers for an ROI-based personalized outreach. To begin with, search your prospects using various parameters (titles, company size, industry size, e.g.) This will give you the first list of qualified decision-makers you should target. If possible also collect a list of essential influencers around these decision-makers. Once you’ve shortlisted the right people to target, it’s much easier to offer them value and eventually move them to an offline sales conversation. Twitter is another powerful tool which is much more valuable than you might imagine. Twitter allows you to perform a ‘hashtag search’ which is quite useful for basic prospecting, however, you can go a little more advanced with a quick Boolean search. This helps you find valuable (and highly specific) information. Since Twitter is geo-targeted, you can also know the exact location of your prospects – a great option if you are selling in a local territory. To begin with, you have to be very smart about the keywords you use on your profile. Your name should come under the right and relevant hashtags on social platforms. For instance, you should use Narrow to become visible at scale with the right people. It is a powerful tool that allows you to follow the people that you’re looking to target and become visible to them. Similarly, you need to explore other time-saving tools and features. In a nutshell, you have to be in front of their eyes; especially when it matters. 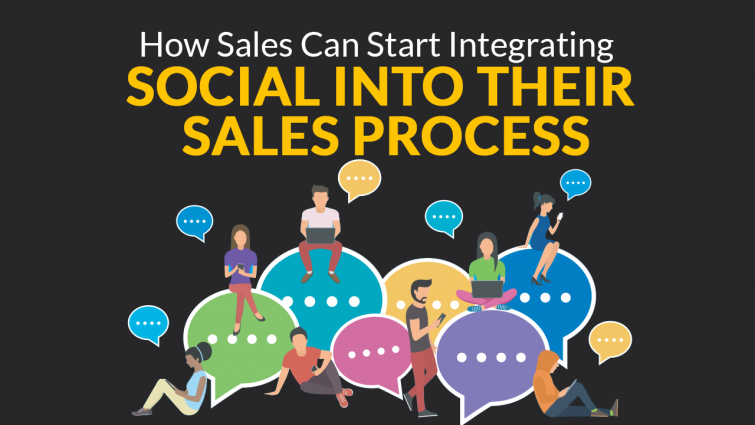 Social selling is an outbound one-to-one process. 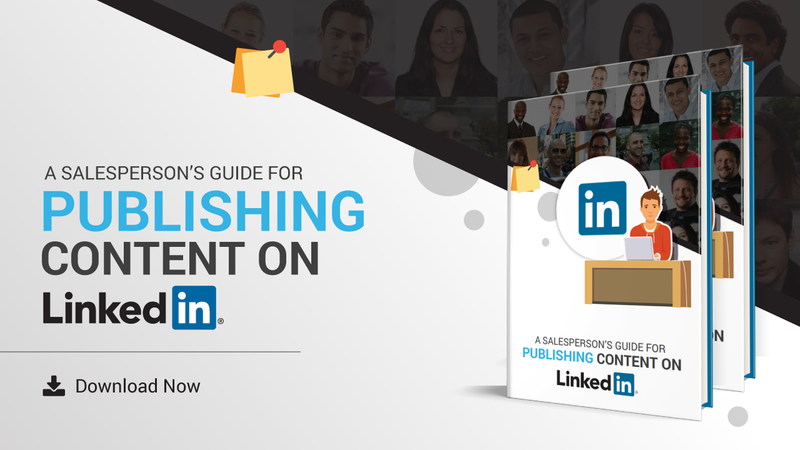 You’re going to a list of contacts and trying to place the right content in front of them. The purpose is to get noticed and create a social conversation which will become the backbone for the offline interaction at a later stage. Just creating a social profile is far from enough. Becoming valuable at the right time is what matters in the end. You got to invest in yourself, and bring value to your prospects. Then and only then you can move your conversation towards a DM on any social platform. You can also install Feedly chrome plugin, and you’ll get instant updates relevant to your industry. Now you can share these updates with your prospects through social media. This way you position yourself as an advocate for them and promote their ideas. When it comes to social selling, it’s only the strategic content that brings real value to your prospects. You should try and get socially connected with your prospects before getting on an offline sales call. Being connected is mostly an extension of your personality. If possible, you should also connect with the influencers around your prospect. That’s how you become unique and gain credibility. This credibility would further help you achieve dividends in your social selling process down the line. If you’ve made it this far, you’re ready to go out into the battlefield and put everything you’ve learned to fit use. However, only theory is never enough. Looking at the tremendous potential of social selling to nurture leads, you need an actionable plan to connect with a real-life prospect. With that in mind, you have a unique opportunity to see this invaluable social selling formula in action.